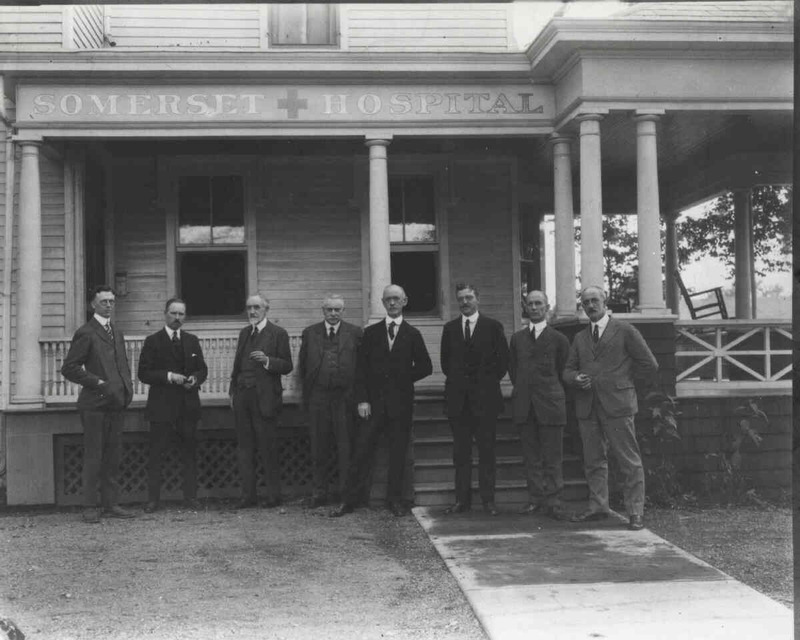 The last issue of The Breeze told how in 1899 a local newspaper owner David Messler started a fundraising campaign to get a hospital established in Somerville. 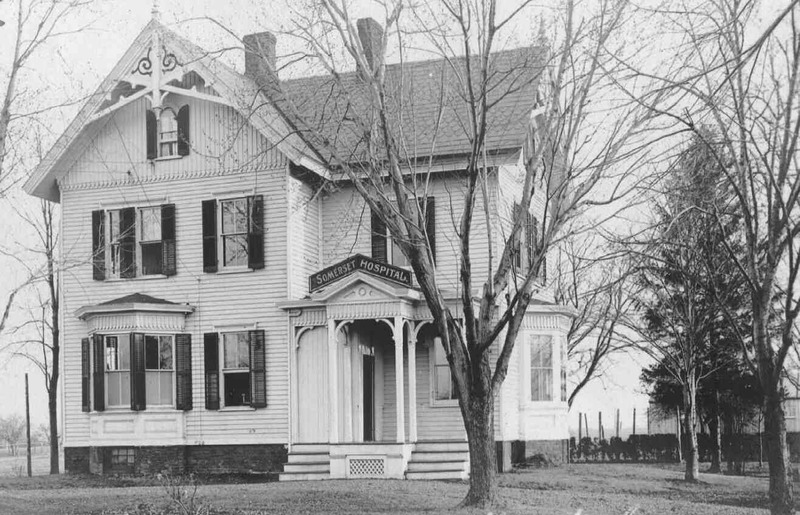 This led to a colonial home on East Main Street in Somerville being purchased in December of 1900 to be setup as a hospital. That home had been known as “The Lord Mansion” as it had been owned by John Lord who was a prominent local banker who had just passed away. It was a seven room house with a third floor walk-up attic. When the house was first purchased it did not even have electricity or water. The electrical lines and water pipes had been along the street for over a decade, but they were mostly for industry so they bypassed the homes. Soon after the home was designated a hospital they would be hooked up to the utilities. To get the soon-to-be hospital ready they quickly went to work - hardware floors were put down, a patient ward was setup, as was a children’s room, and an operating room was put together. The hospital when it first opened. 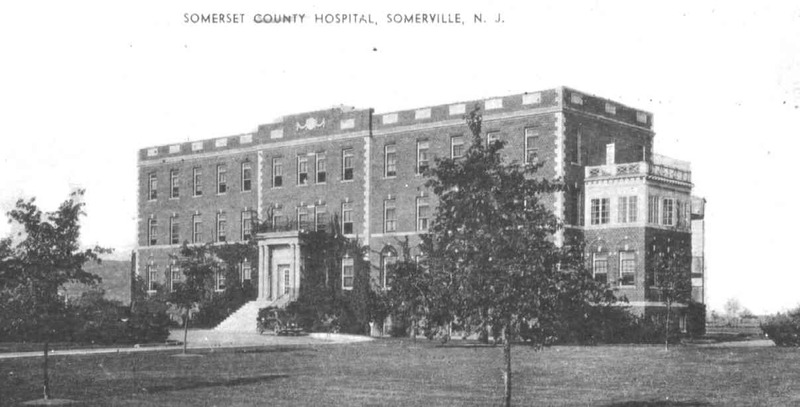 Somerset Hospital opened in that building in February 1901, just two months after the house was purchased, as there were no building codes or hospital regulations to comply with back then. In the first months it was mostly an emergency care facility staffed with a matron who would call a doctor in case an accident victim was brought to the hospital. In a couple months the hospital would become fully functional (for its era). - Monetary donations were always coming in. - Many business people donated their services such as plumbing, electrical work, carpentry, and landscaping. Some businesses gave their products to the hospital for free. For example, the “Gallagher Brother’s Ice Supply” of Raritan provided free ice. Local milkmen made it a regular stop, but did not charge. - Many appliances and some furniture were donated: a kitchen oven, a heating stove, beds, chairs, tables, and lamps, etc … . 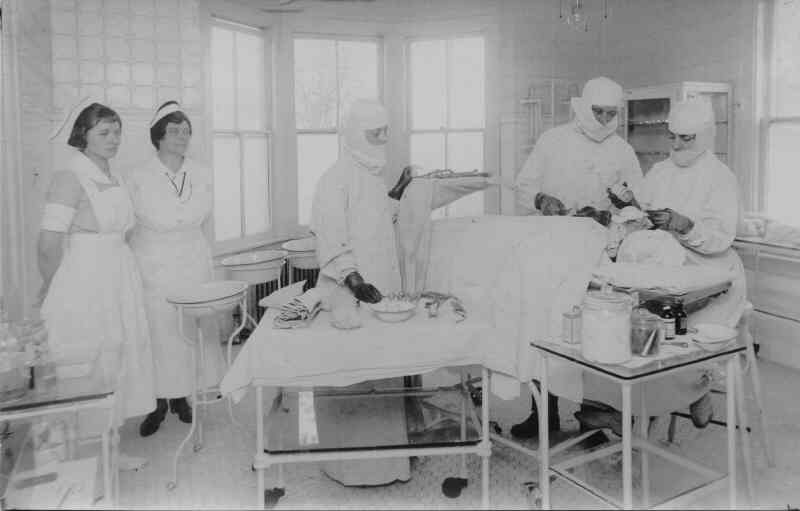 Most things were used, but it was an era of scarcity and the hospital lacked funding so all things were welcome. A local sign maker made and donated a sign that simply said “Somerset Hospital”. Even small things such as groceries, towels, sheets, blankets, and books – including bibles were donated. Many bottles of wine were donated. Hopefully they were for the staff, when off duty. - To aid in the ongoing need for funds a “second hand” store was set up in Somerville. The public would donate any items that they did not need for the store to sell. The owner of the building helped the cause as he did not charge any rent. A Woman’s Auxiliary Board of volunteers oversaw the operation of this store. During the first year at the hospital nine local physicians would make up the medical and surgical staff. (These professionals had their own separate practices and just came by the hospital when needed.) One of the physicians is still remembered today - Mary Gaston of Somerville – a rare woman doctor of that era. The new hospital would encounter many challenges. In April of 1901 the President of the Medical Staff Doctor H.G. Wagoner unexpectedly passed away. Some good came of this as all of Dr. Wagoner’s surgical instruments, supplies, operating table, and vast library of medical books were donated to the hospital by his family. The first operation was performed at the hospital after being open for just a month. After two months, the hospital had five patients. By the end of the first year the hospital had served 46 patients. Of that number 5 had passed away. By 1903 the hospital realized that they needed a way to quickly transport the injured to the hospital. So a horse drawn wagon was purchased to serve as an “ambulance”. The wagon would be kept at a “Dunster’s Livery Stable” in Somerville where the owner promised to always monitor his telephone and have a spare horse ready. He would kept his promise. Many of the hospital’s emergency patients were as result of transportation accidents. Unlike today it was not automobile accidents, but railroad and trolley accidents as well as horse riding mishaps that caused most of the injuries back then. 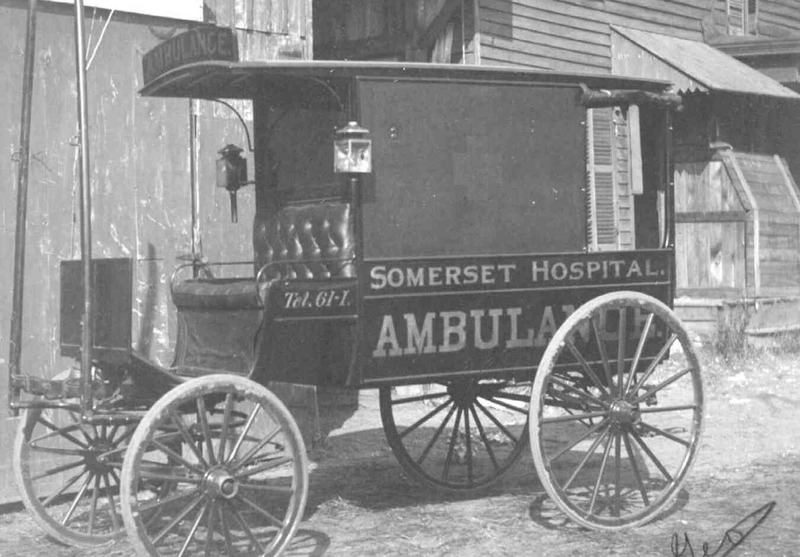 The first ambulance in 1903. Besides the ambulance, in 1903, another improvement was made to the hospital as a horse shed was built in the back for the horses of the medical staff. The number of patients increased each year, thus space in the hospital was always an issue. 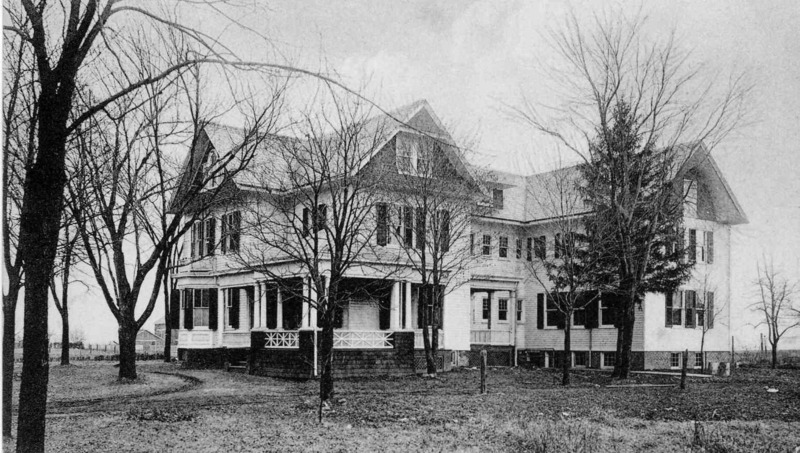 In 1908, a large addition that more than doubled the size of the hospital was added. This would increase the capacity to 32 beds. The original hospital with the addition. 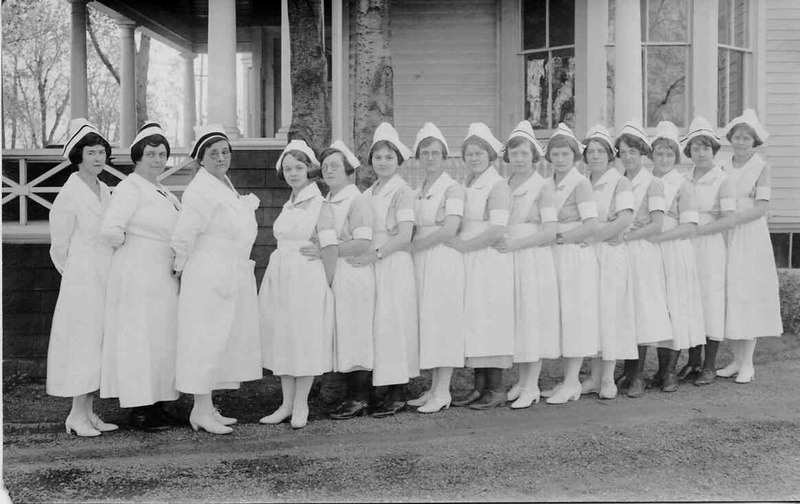 In 1911 a nursing school was established at the hospital. Many hospitals of this era would start nursing schools. 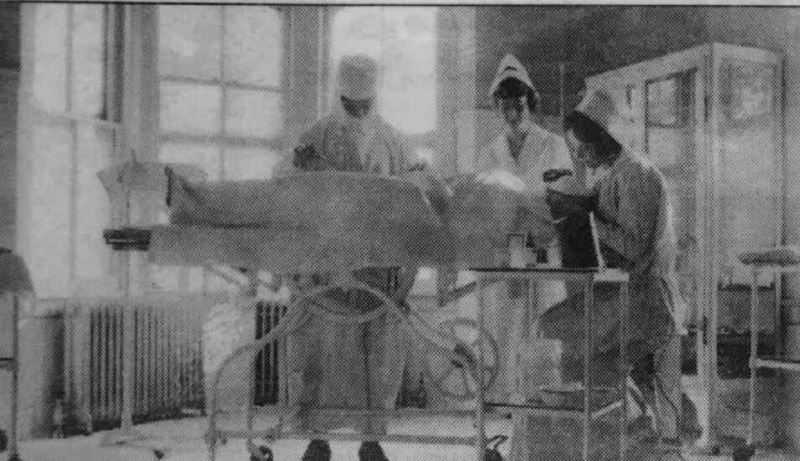 This was a “barter” arrangement between the hospital and the “student nurses”. The “student nurses” would work at the hospital without receiving a paycheck. In return they would get free room and board while training (for two years) to obtain a nursing degree. This gave the financially challenged hospital much needed free labor. The nurses would receive some classroom training, but mostly they learned while working with a regular nurse. The nurse’s duties were wide ranging. They gave medical care to the patients and also did everything else such as cooking and cleaning to keep the hospital running. Historians have commented on this “barter” arrangement and today’s conclusion is that this deal was stacked in favor of the hospital, but it did provide a rare opportunity for women of that era to obtain a degree. 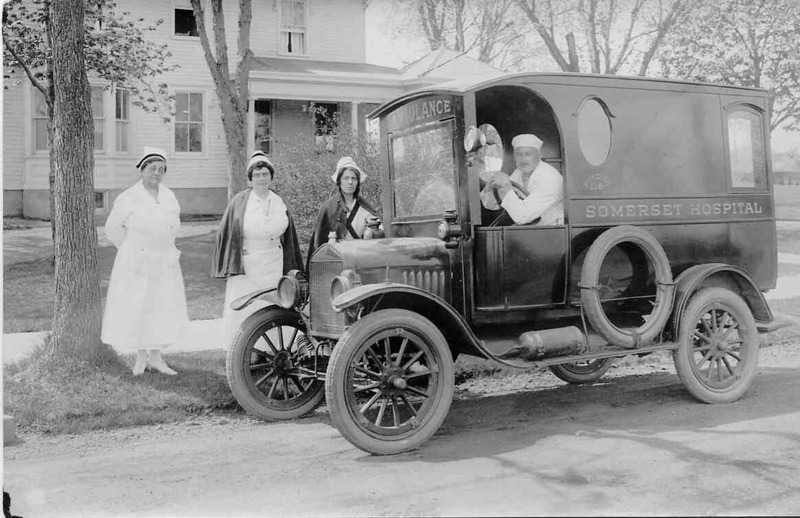 Around 1917 the hospital changed away from the horse drawn ambulance to a motorized one. 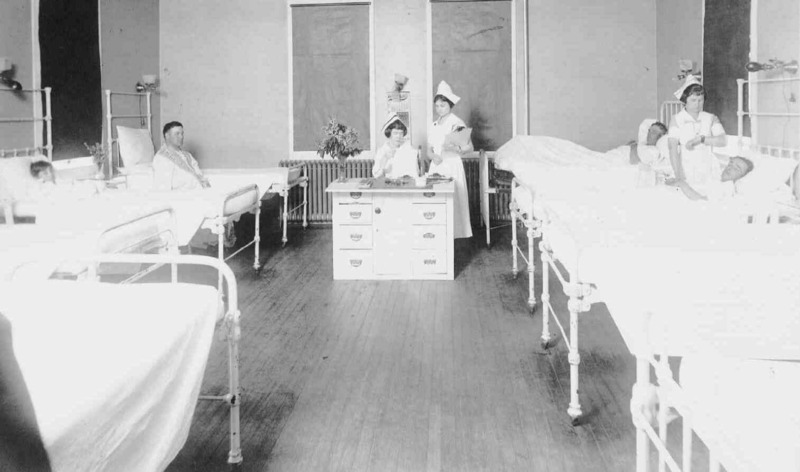 In 1918 an X-Ray machine was purchased and a special room was setup for its use. By 1923 the hospital had again outgrown its size – it had seen 1100 patients that year. It was decided that rather than expand the existing house it was better to build a new modern hospital on a new site. So a nine acre lot was purchased across the street on Rehill Avenue for the building of a new modern hospital. In 1925 when the construction was complete the hospital moved from East Main Street to Rehill Avenue. Today the old original hospital building at 350 East Main Street is rented out as apartments. The building still contains reminders of its past - as in its hallways are photos from the years that it was a hospital 1901-1925. In 1999, for the 100th anniversary of the forming of the Hospital Corporation, a celebration was held by the staff of the modern hospital in front of the original building on East Main Street. That was the last time today’s hospital held anything at the original site. Perhaps RWJ Hospital should buy the original building and make it a coffee shop that is decorated with the photos of the original hospital – just saying. Special thanks to Judy Godrey for the tour of the original hospital on East Main Street. Special thanks to Jimmy Sommerville for the photos of the original hospital. Next issue of The Breeze will be part 3 of the History of the hospital.